After the national launch yesterday, the new Mahindra Scorpio has been launched in Chennai today priced from Rs.8.43 Lakhs ex-showroom. The new generation Scorpio gets new transmission, cushion suspension and anti-roll technology, Dual Projector Headlamps, LED eyebrows, new chrome-accented front grille, new road armour bumpers, LED tail lamps and new 17-inch alloy wheels. Inside, the Scorpio gets new blue-grey interiors and a dual shaded dashboard, attractive centre console loaded with features, futuristic instrument cluster, a new sporty steering wheel with audio and cruise controls and chrome-finished AC vents. The new Scorpio is powered by the same mHawk engine with 118 hp and 280 Nm of torque that is mated to a new 5-speed manual gearbox. The Scorpio is also available with 4x4 option that comes with shift on fly feature. 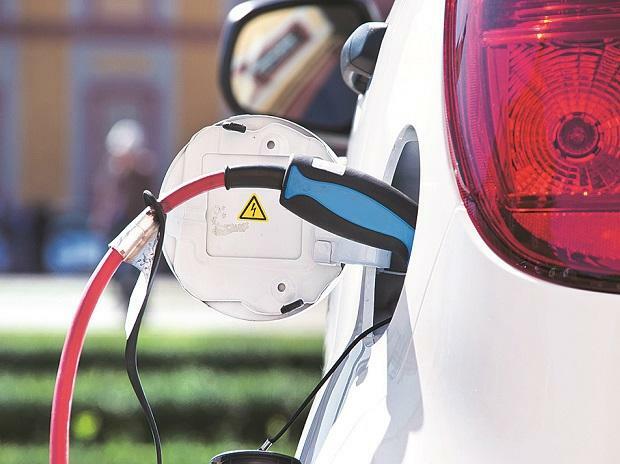 Other features include new hi-tech 6-inch Touch screen infotainment system with inbuilt GPS navigation, engine Immobilizer, tyre-tronics, anti-lock braking system, intellipark reverse assist. 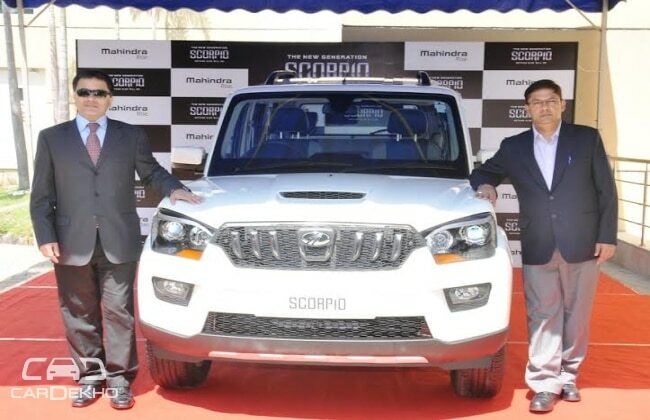 Pravin Shah, Chief Executive Automotive Division & International Operations (AFS), Mahindra & Mahindra Ltd., said, “When we unveiled the first Scorpio in June 2002, it was an emotional moment for all of us at Mahindra. It was a defining moment for the company. Unknown to us at that time, a dream, an icon, a style statement was born. The Scorpio did wonders for the Mahindra brand in urban India. To see the Scorpio become the pride of over 4.5 lakh customers, sell over 50,000 vehicles each year for the last 3 years in a row, rule Indian roads for over 12 years and transform the SUV space in the country, is a remarkable achievement. Over the years we have continuously updated the product to ensure that the brand stays relevant. Today we have shifted the orbit further as we unfold a new chapter in the story of the iconic Scorpio, with the launch of the New Generation Scorpio”. Speaking at the launch Ashish Malik, Vice President, Marketing, Automotive Division, Mahindra & Mahindra Ltd. said, “This is a very proud moment for us, as the trend-setting Scorpio, turns a new leaf in its evolution with a new generation platform, more aggressive styling, all new interiors, a new transmission with significantly improved ride and handling and advanced technology features. In fact, the New Generation Scorpio is now even more aspirational and your perfect companion for thrill and adventure, a reflection and a choice of the new emerging customer of today”. The New Generation Scorpio will be available in multiple seating configurations - 7, 8 & 9 seater options. It is available in five attractive colour options namely Diamond White, Fiery Black, Mist Silver, New Molten Red and New Regal Blue and 7 variants - S2, S4, S4+, S6, S6+ S8, S10.